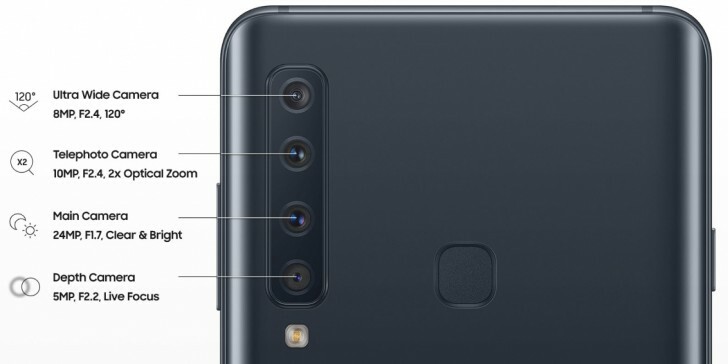 The main camera of the Galaxy A9 features a 24MP sensor and a bright f/1.7 aperture. It might even be the main camera of the A7, the other two modules sound pretty familiar too. The ultra-wide camera (120°) has an 8MP sensor and f/2.4 lens and finally there's a 5MP depth sensor for bokeh effects. These camera specs confirm the info from a week ago. The phone was also benchmarked earlier today with a Snapdragon 660 chipset. Samsung has a “4x” event tomorrow and we think it’s pretty clear which phone is getting unveiled. Sooner or later, phone cases will no longer be as protective/effective as they should be because possibly years from now, all phones will have more than 10 cameras popping at the back like tumors.